Follow these guidelines and when it’s time for you to buy a home, you can do so with confidence. What’s more, you can know your house will be a blessing—and not a curse—to you and your family. So What Exactly is an Endorsed Local Provider? Is Your House Too Big For Your Budget? Your apartment looked way bigger when you first moved in, didn’t it? But over the last few years, your family grew, and now it feels like you’re bursting at the seams. You don’t have any room to spread out. You actually forgot what the word “privacy” means. And the neighbors who share your walls are so loud. It’s no surprise when you start to think about saying farewell to renting and hello to home ownership. But how do you know when the time is right? The market is up; the market is down. It’s a seller’s market, and then it’s a buyer’s market. Everyone has an opinion on what you should buy, where you should buy, and when you should buy. It’s overwhelming. While you can’t control the market, you can control what your finances look like when you decide to buy. Here are four things you need to do before you take on a mortgage. 1. Get rid of all your consumer debt. There are a lot of reasons you don’t want to have consumer debt when you buy a house. For starters, Romans 13:8 (NIV) says, “Let no debt remain outstanding, except the continuing debt to love one another.” It’s not only biblical, but it’s logical. The more checks you have to write when your paycheck comes in, the less money you have for giving and saving. You don’t want to become a homeowner and have no discretionary income. How else are you going to afford expenses like HOA fees, maintenance, and lawn care? 2. Build up a fully funded emergency fund. You want to have 3–6 months of expenses in savings beforeyou buy a home. This is your cushion for emergencies—like medical bills, a flat tire, or a job loss. Imagine the anxiety you would feel if you bought a house and then your boss told you he had to let you go because the company was making budget cuts. With an emergency fund in place, you have options. You don’t have to take the first job that you find. That sounds better than scrambling to make mortgage payments and put food on the table with your unemployment check, doesn’t it? 3. Save enough cash for a 10–20% down payment. There are so many programs that want to “help you buy a house” with next to nothing down. But think about that for a minute. If it sounds too good to be true, trust your gut—because it’s probably too good to be true! You’ll end up paying more in the long run if you go down the path of 0% down. We recommend putting at least 10% down, although 20% is better because it keeps you from having to deal with private mortgage insurance (PMI). Just make sure you don’t dip into your emergency fund for your down payment. 4. Know how much you can afford. You need to know how much house you can afford before you start looking at homes. Otherwise, you risk falling in love with a place that’s going to leave you house poor. And you aren’t going to love that house when you can’t afford to pay your other bills because the mortgage is so high. Your monthly house payment needs to be no more than 25% of your take-home pay on a 15-year fixed-rate loan. That means if you bring home $5,000 a month, your monthly mortgage payment needs to be $1,250 or less. 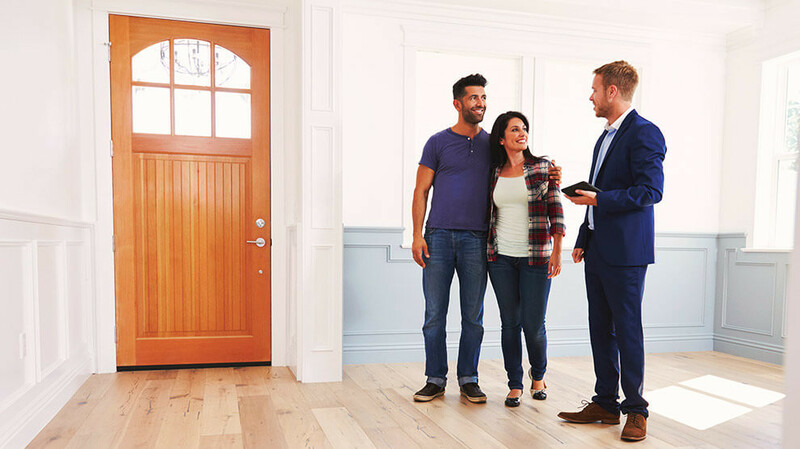 If you're ready to buy a home, connect with a real estate agent you can trust! Get started with an Endorsed Local Provider today!